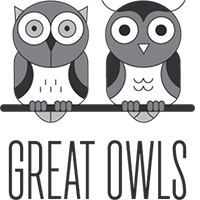 Great Owls is an entrepreneur network and a knowledge sharing platform. We give you access to the brightest minds in Singapore and hand-pick recommendations for the best resources to learn from be it books, videos, podcasts or blogs. We host regular events, which sell out quickly. Be the first to know when a new event is up.